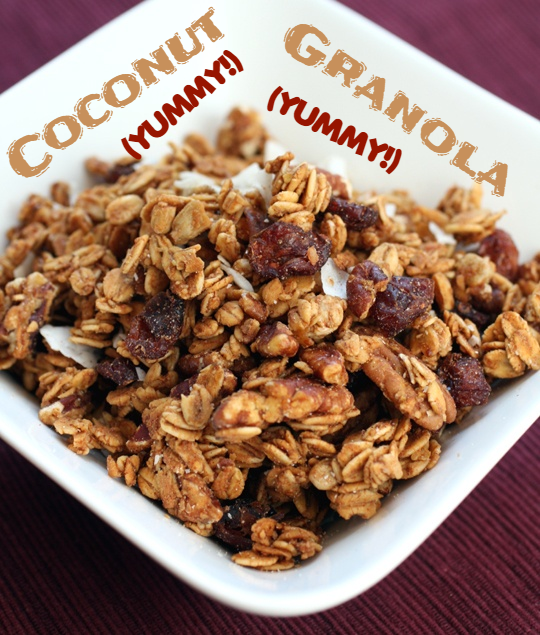 One of my readers recently left a comment requesting a recipe for granola. So I'm posting the recipe I've used from a book called Eat Fat, Lose Fat by Sally Fallon and Dr. Mary Enig. It comes from the people at the Weston A. Price Foundation. Directions: Mix oats, butter, coconut oil, yogurt, and water together in a large bowl. Pat down, cover with a plate, and leave on the kitchen counter for 2 days. Preheat oven to 200 degrees F. Place honey, salt, and cinnamon in a small bowl and set in a small pot of simmering water until honey warms and becomes thin. Mix honey with oat mixture. Place on 2 parchment-lined baking sheets and bake for several hours, until completely dry and crisp. Mix with coconut and serve with fresh or frozen berries and whole raw milk or cream diluted with a little water.